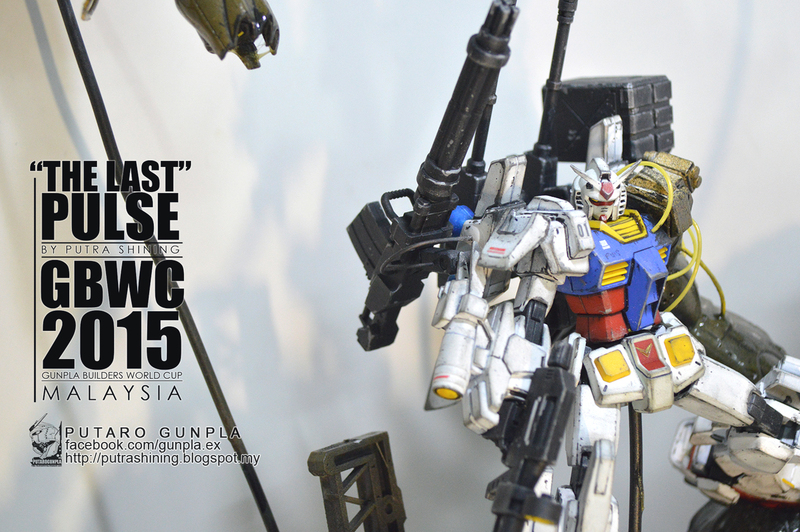 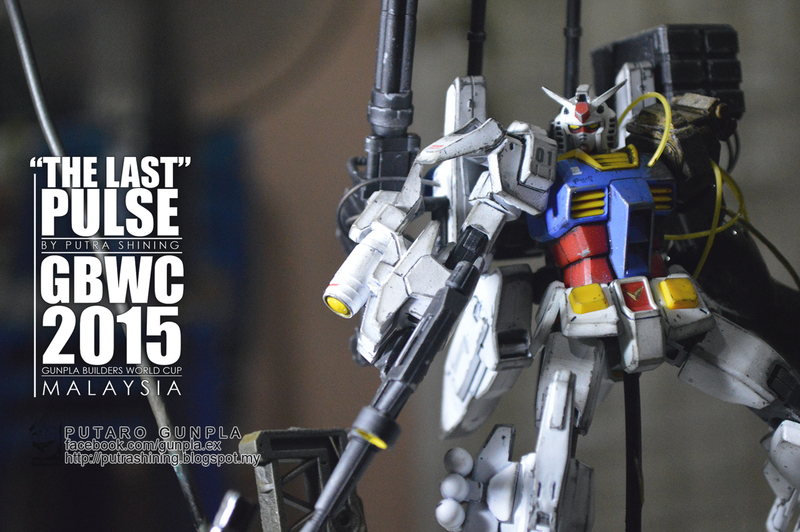 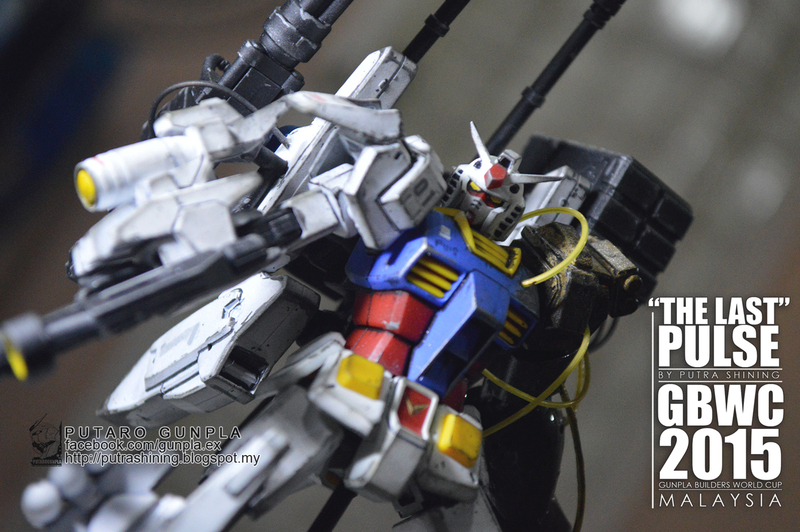 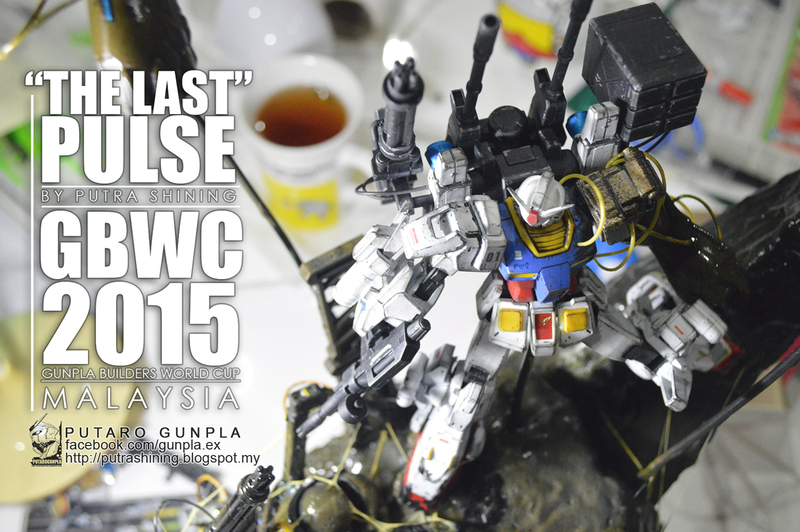 HGUC 1/144 RX-78-2 REVIVE GBWC 2015 MALAYSIA entry by Putra Shining. 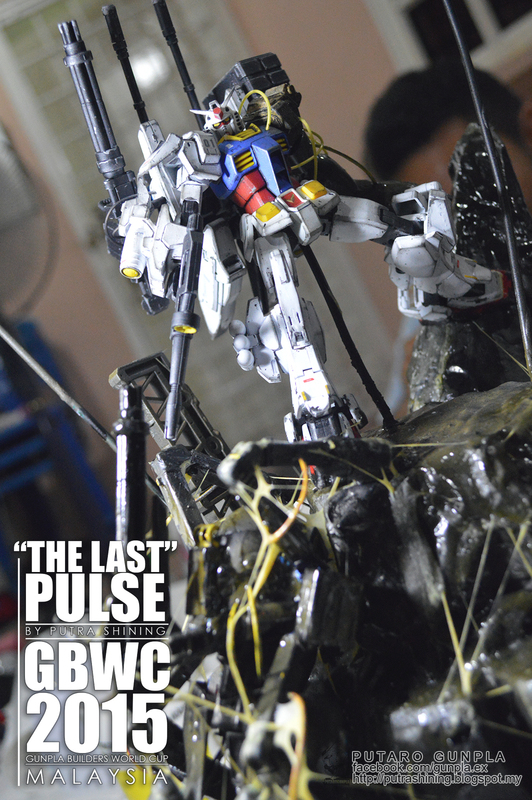 His first time joining the GBWC and first time heavy custom build. 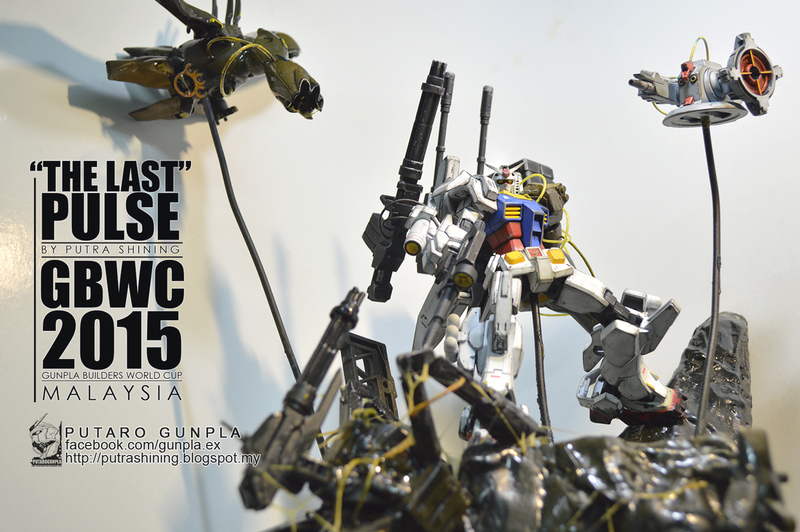 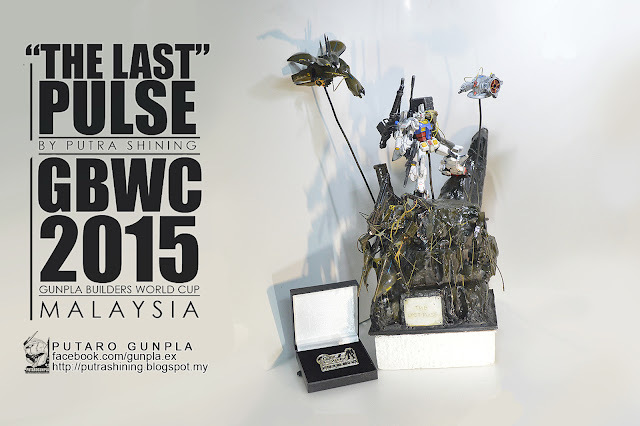 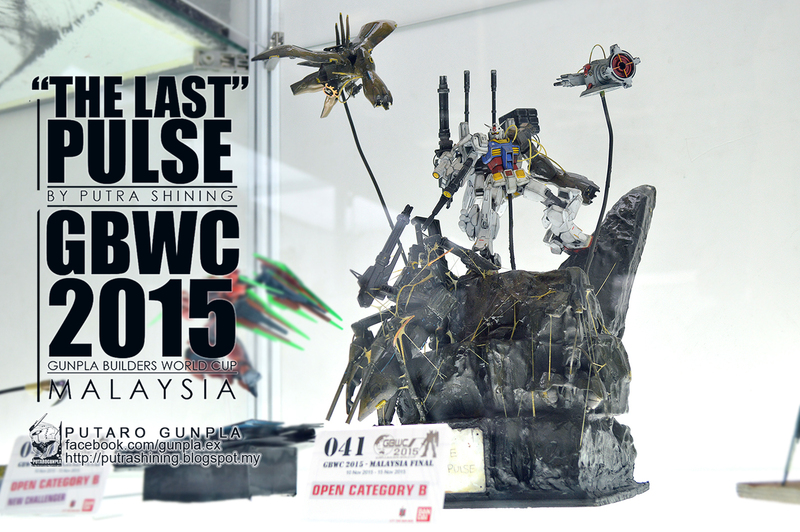 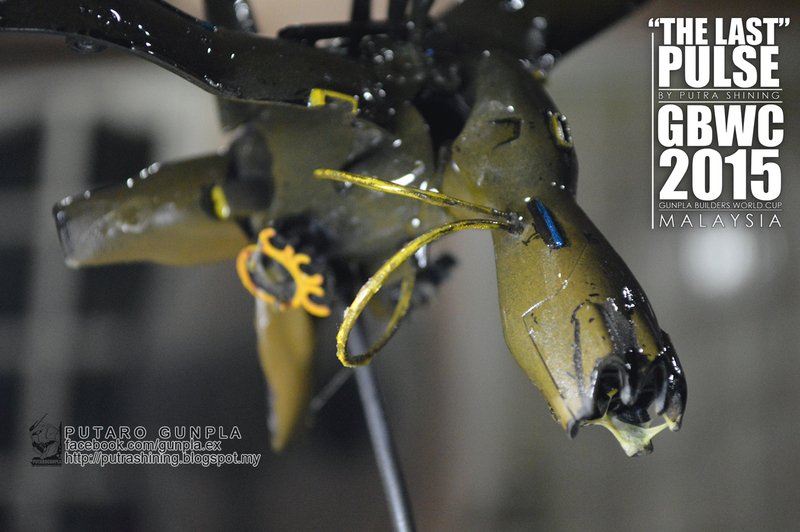 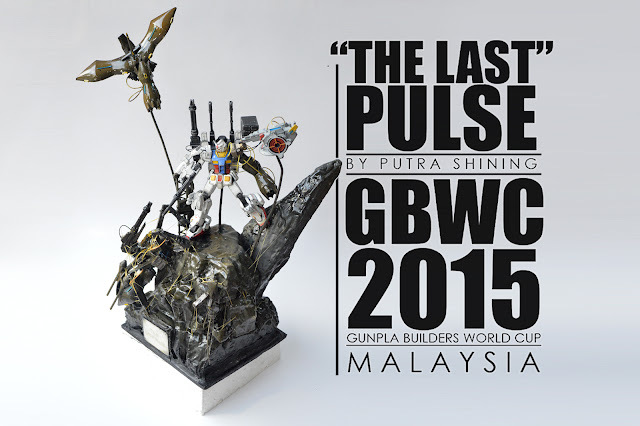 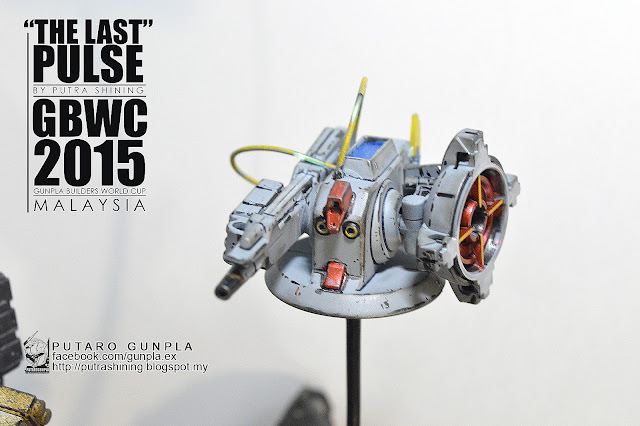 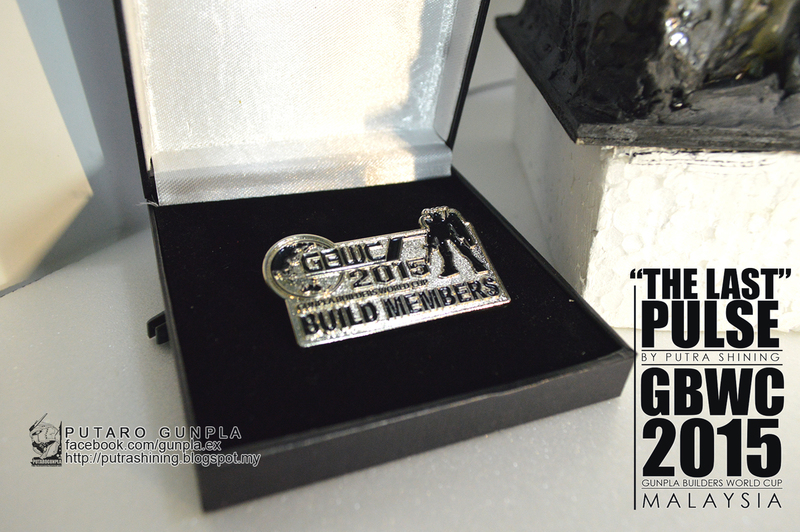 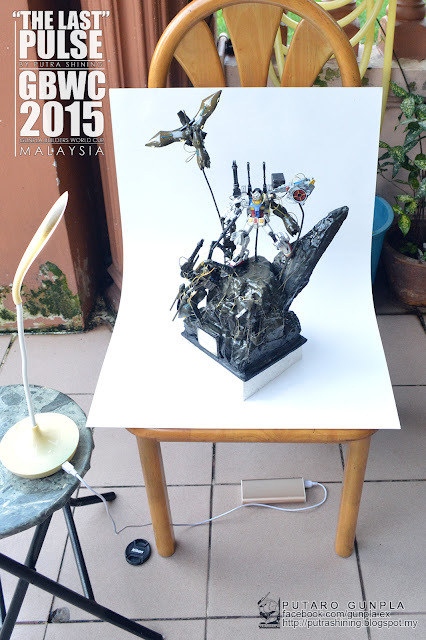 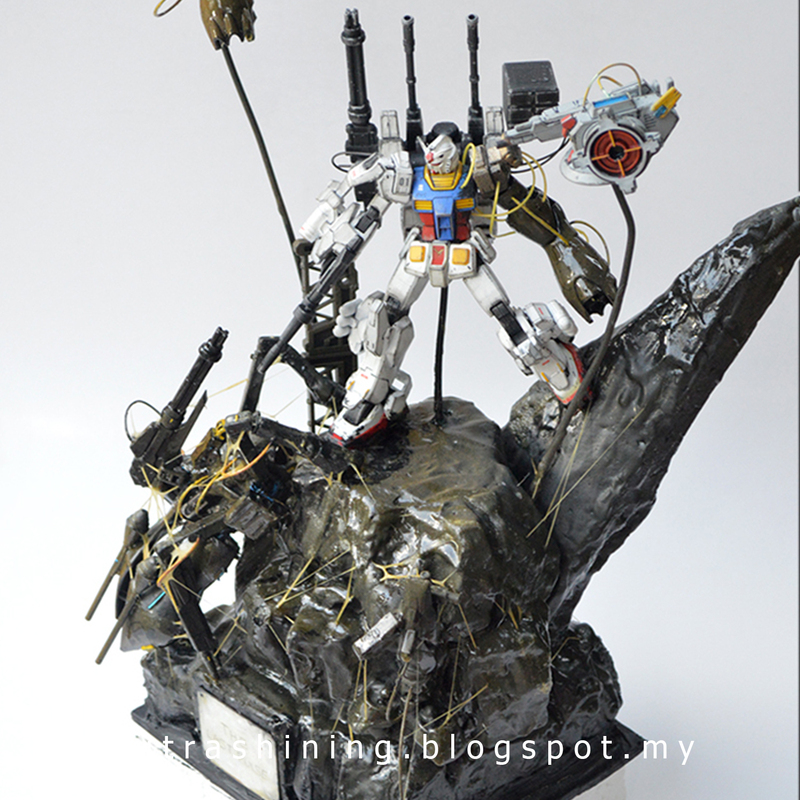 Hi guys, we present to you the Gunpla Builders World Cup 2015 Malaysia (GBWC) entry by Putra Shining. 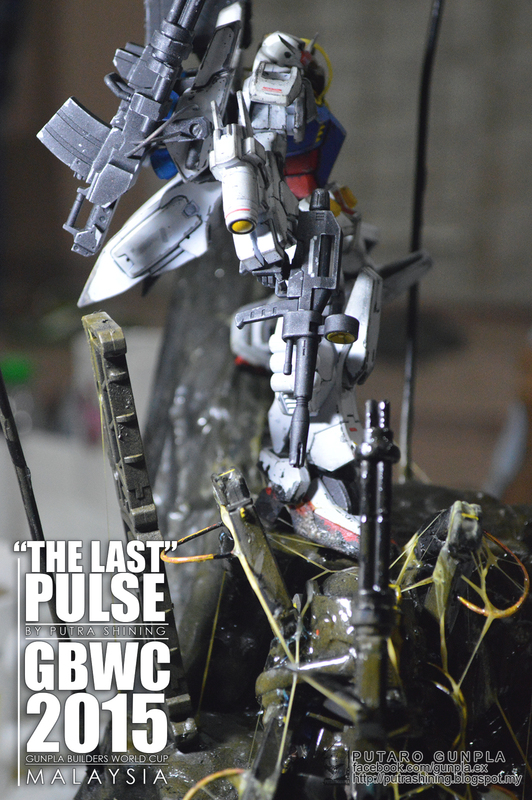 He send the new HGUC RX-78-2 REVIVE. 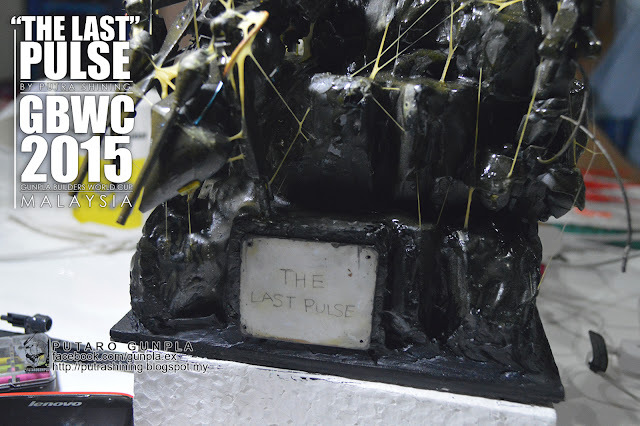 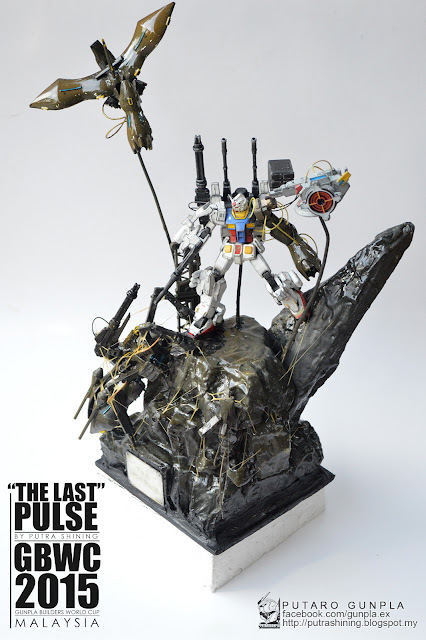 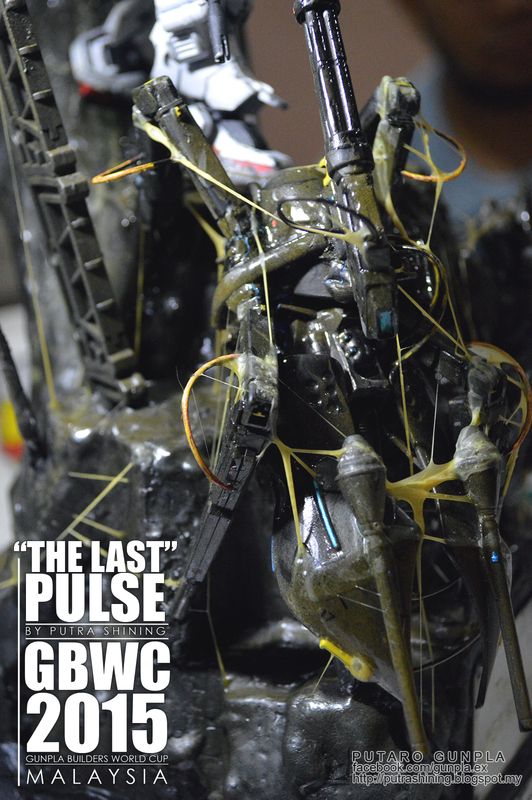 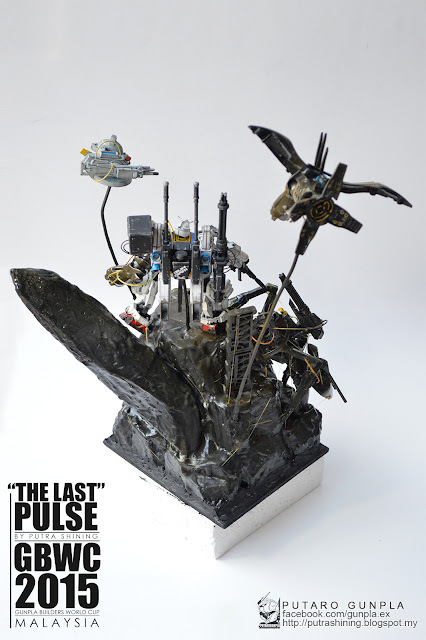 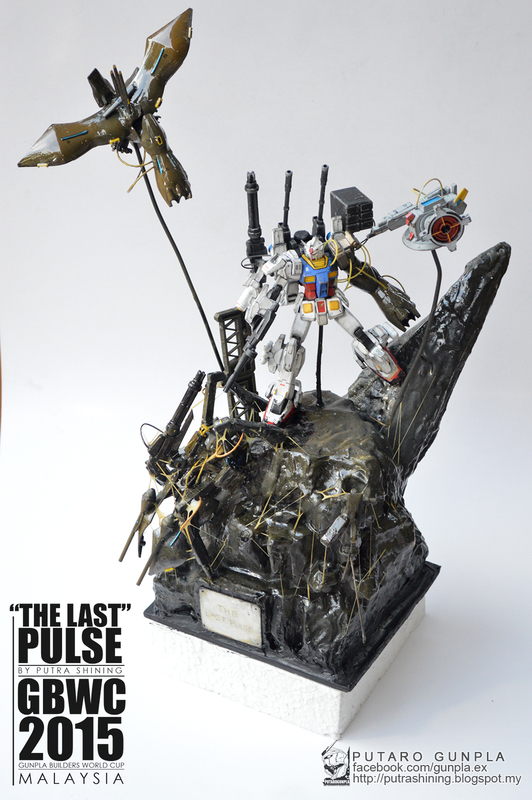 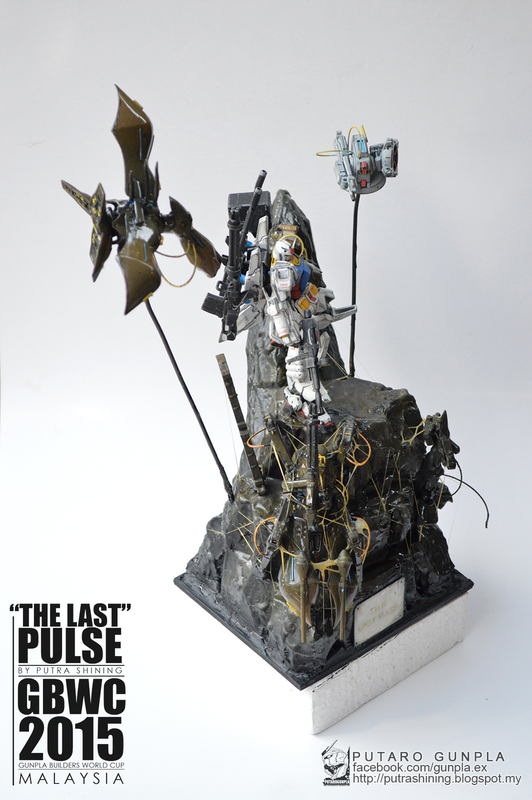 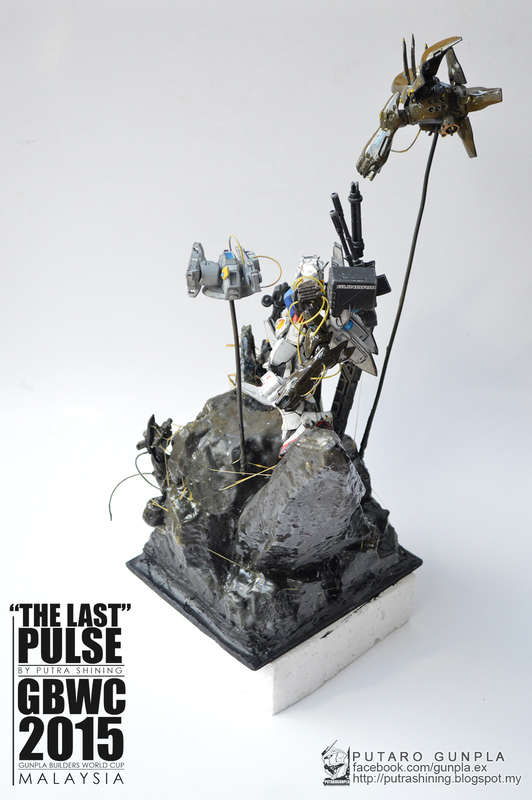 The name of the entry is 'The Last Pulse' because there is the last gundam left on that planet. 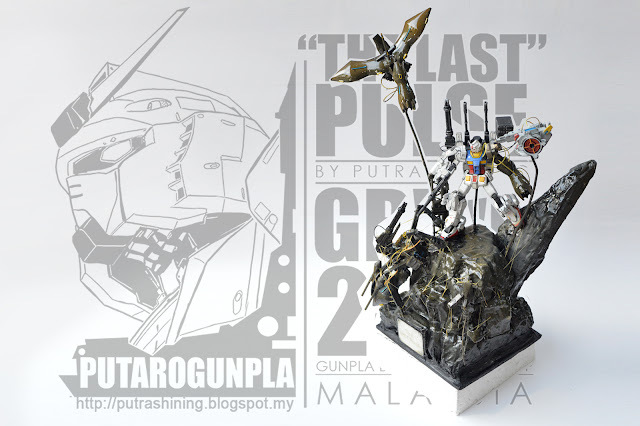 Which means the last human pilot is there fight for his life. "The idea for choosing HGUC RX-78-2 came because i really like the new REVIVE RX-78-2, and i think to make it lost in an alien planet. 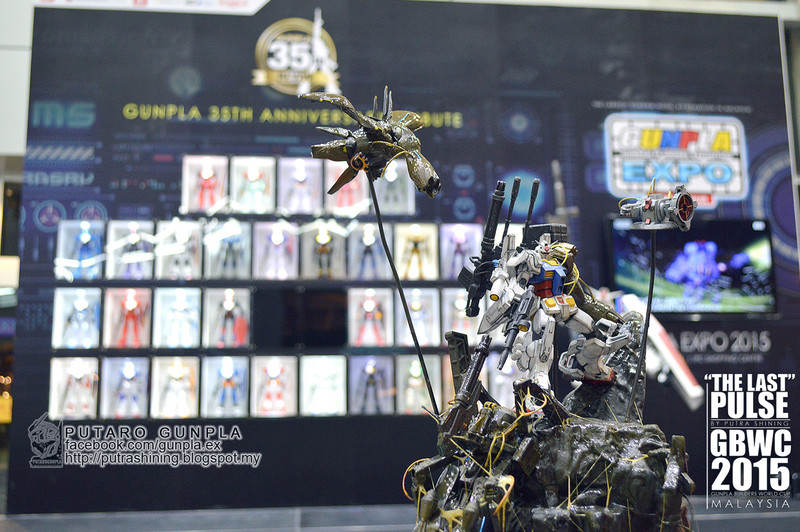 So as you can see the diorama shows the RX-78-2 gundam fighting with two unknown mutated robots with his(RX-78-2) mutant hand. The idea to make this artwork look lively is to make it looks slimy and disgusting bug or alien. 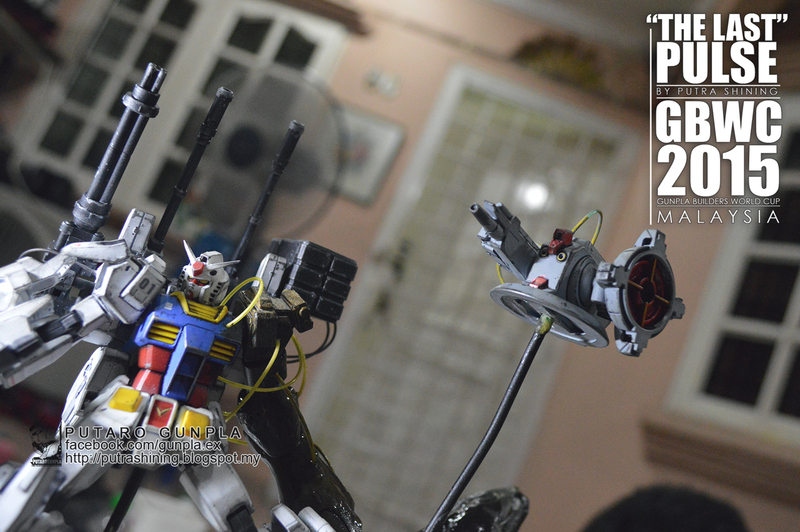 So, i think i did it good, but not well enough because i faced some problem while building the diorama. The main reason i'm entering the GBWC 2015 i was hoping to get involve in world class event. While building this artwork in the end i realized that it's fun to build gunpla especially with friends together. 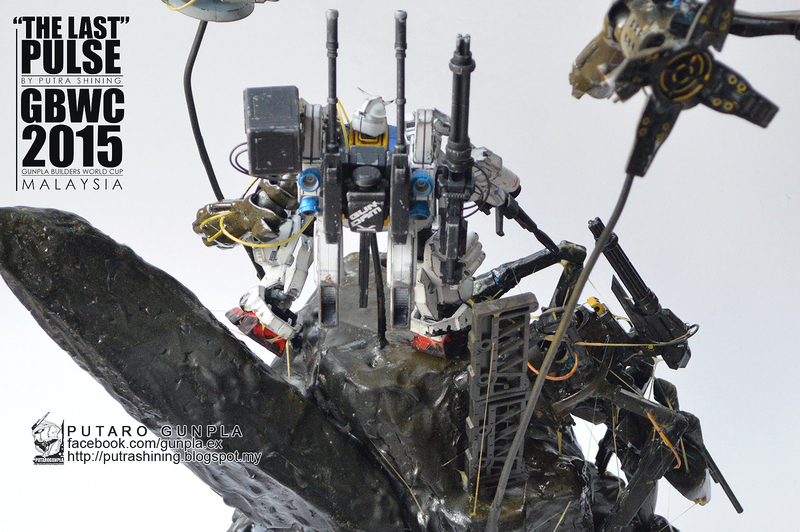 I have record the progress of building this entry and i planning to post it soon in this blog and maybe i will make a video. 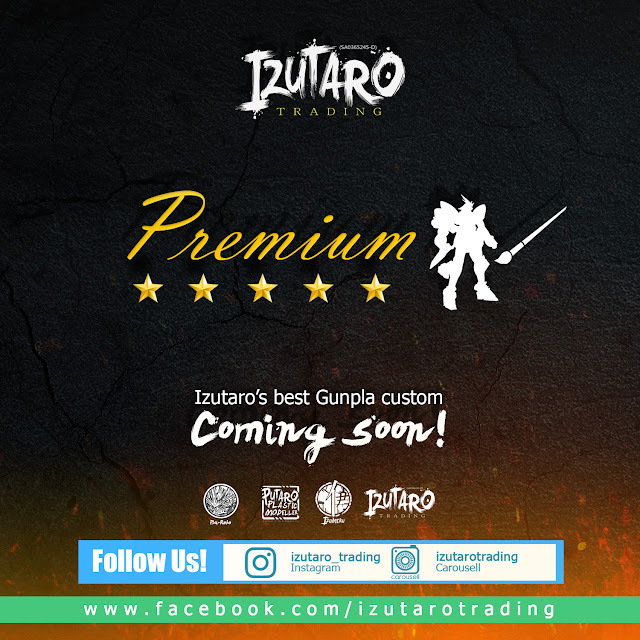 Enough said, let's take a look at what i have done, i hope you guys like it and can give you guys some ideas to build gunpla in the future. 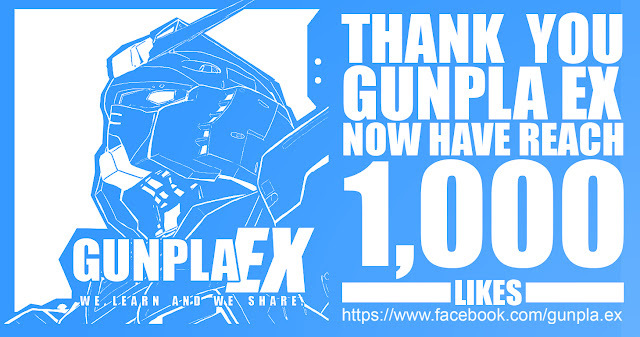 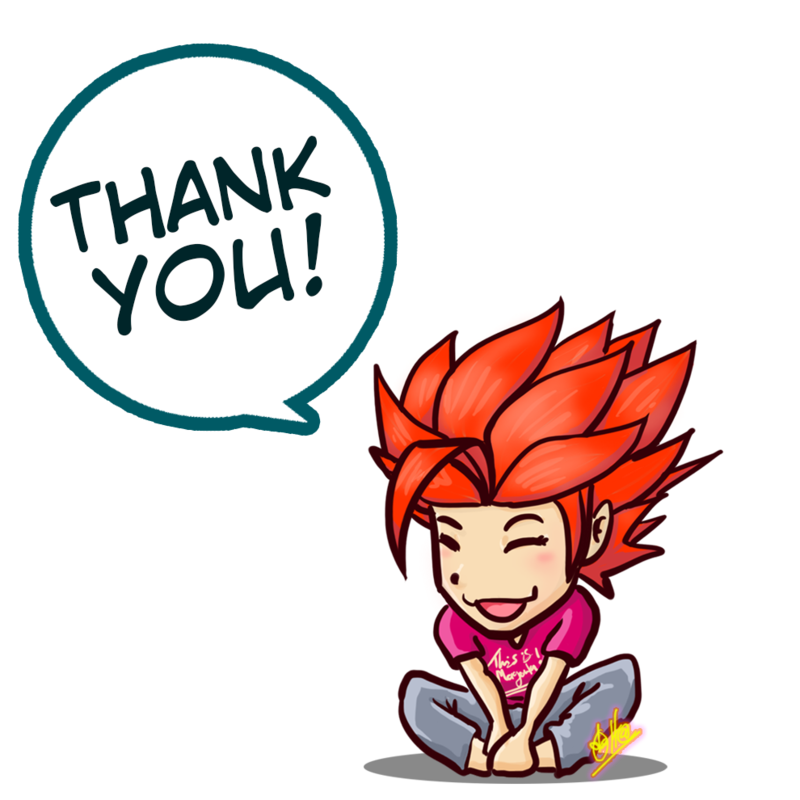 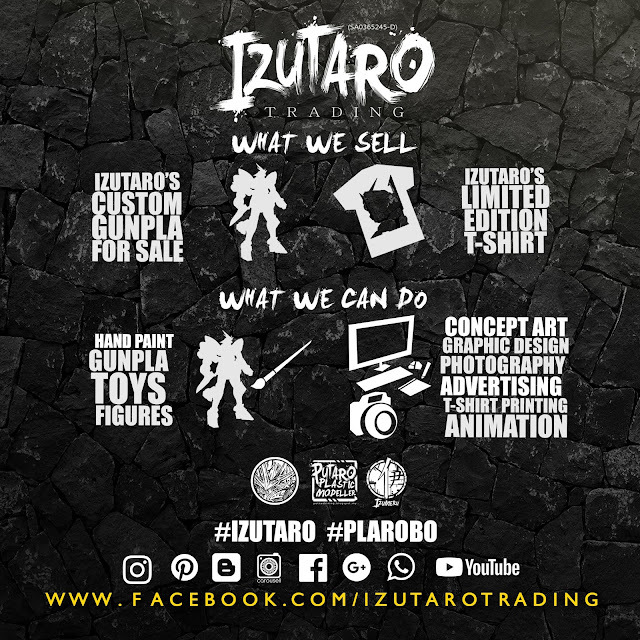 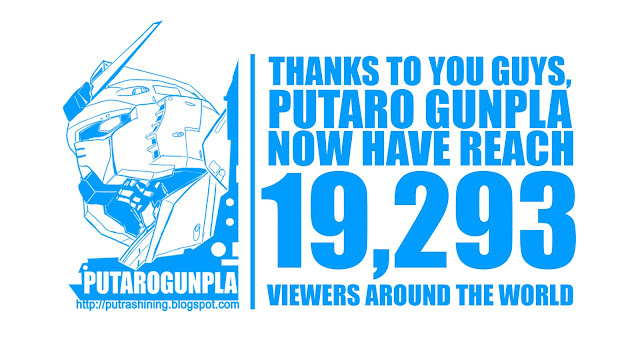 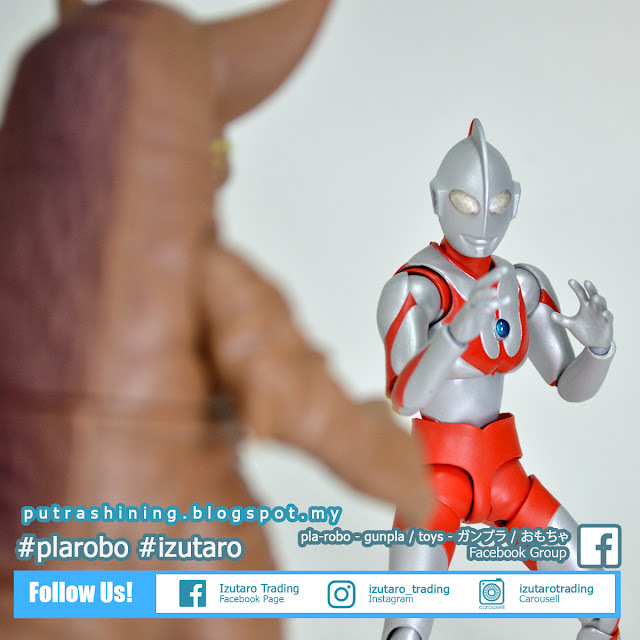 Thank you for viewing Putaro Gunpla." 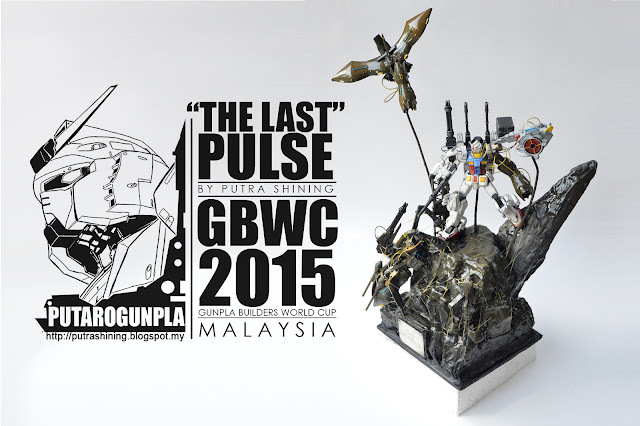 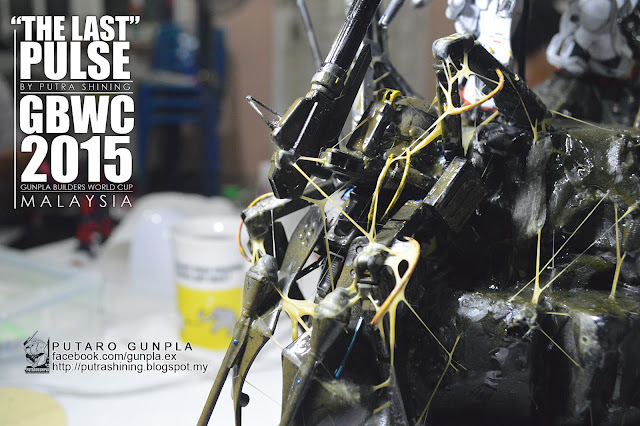 Have you watch the GUNPLA EXPO 2015 MALAYSIA ON YOUTUBE? and don't forget to subscribe! By the way, come visit Izumeru's blog!